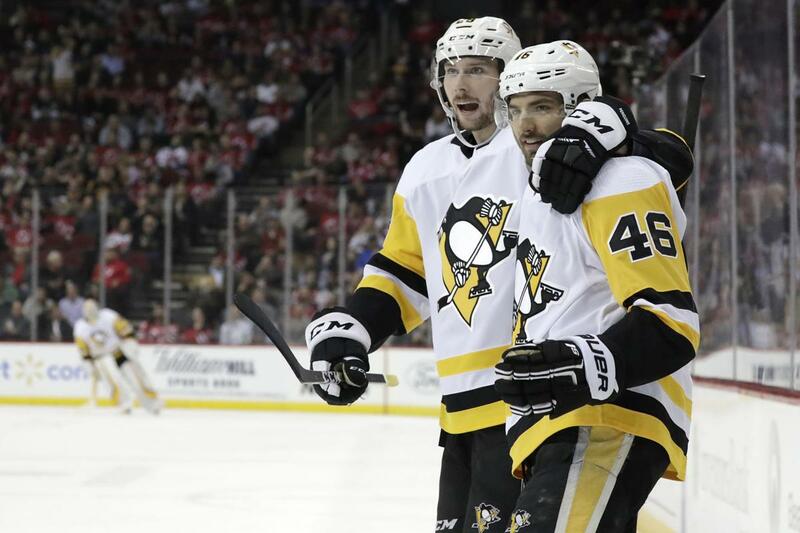 NEWARK, N.J. (AP) - Bryan Rust scored a tiebreaking goal midway through the second period and the Pittsburgh Penguins continued their playoff push and avoided the embarrassment of being swept by the lowly New Jersey Devils with a 4-3 victory on Tuesday night. Ruhwedel, who just returned to the lineup after sitting out since Nov. 19, got his first of the season and what proved to be the game-winner on a shot from the point that found the top corner of the net with 2 1/2 minutes to go in the second. Wood closed the gap to a goal with 4:50 to play on a slow shot that somehow got under Murray's stick. Bratt scored for the second straight game to put New Jersey ahead early. Crosby extended his points scoring streak to six games by setting up Aston-Reese in front four minutes later to tie the score. NOTES: The Devils gave the first 9,000 fans in attendance a David Puddy bobblehead. He's the Seinfeld television show character portrayed by Patrick Warburton, who painted his face in Devils' colors in an episode and shouted "We're the Devils." ... Travis Zajac appeared in his 900th game with the Devils. ... Penguins Matt Cullen will tie Phil Housley for third most games (1,495) by an American-born player the next time he takes the ice. ... The Devils activated F Blake Coleman off injured reserve and assigned F Nick Lappin to Binghamton (AHL). Penguins: Return home to host San Jose on Thursday night.